a high of 34 degrees, it would have been rude not to set the trap up! 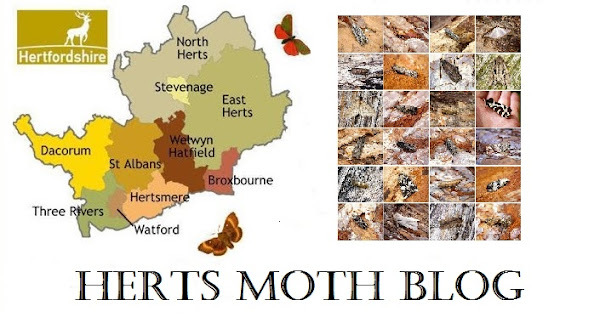 amount of Dot Moths and Dark Arches, the latter numbering close to 80 individuals. Best Micro moths were 3 Limnaecia phragmitella, Clavigesta purdeyi and the tiny Grapholita janthinana. Adding 3 new Micros to my all time list was very pleasing indeed. I will be trapping again on Sunday night.